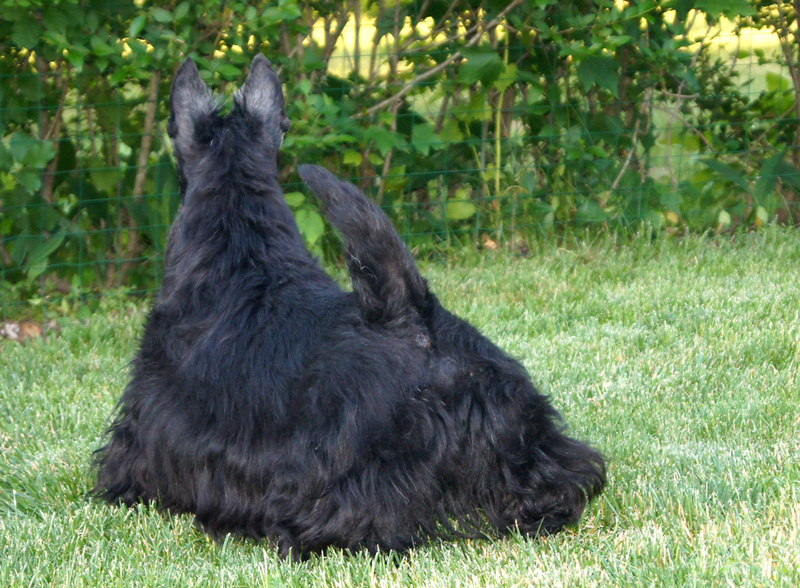 Axel still a beautiful dog at 12 years old! 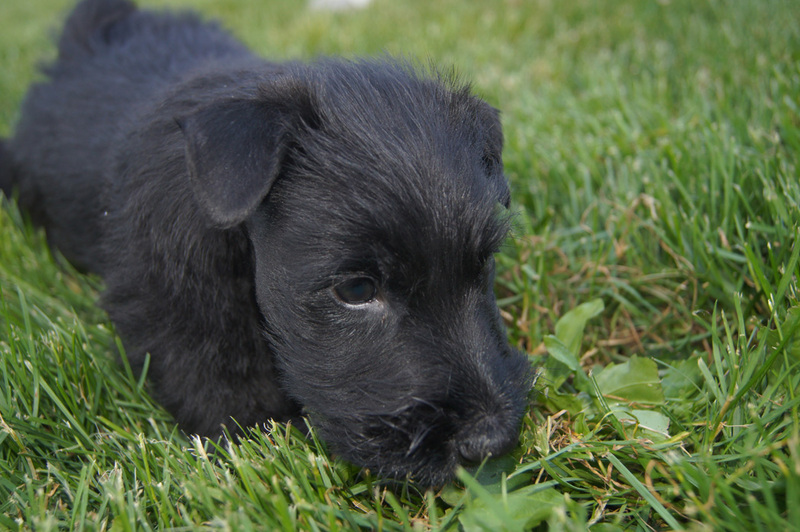 Puppies go out in the grass! 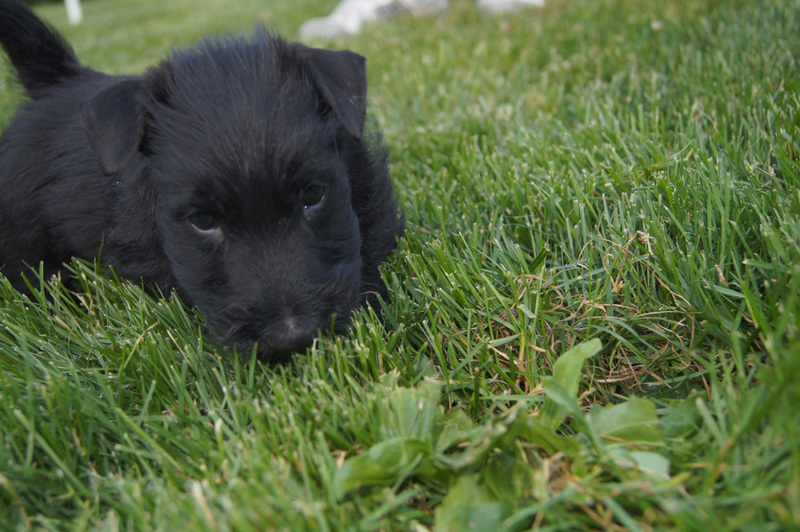 The puppies are 6 weeks old now and had their first outing in grass. 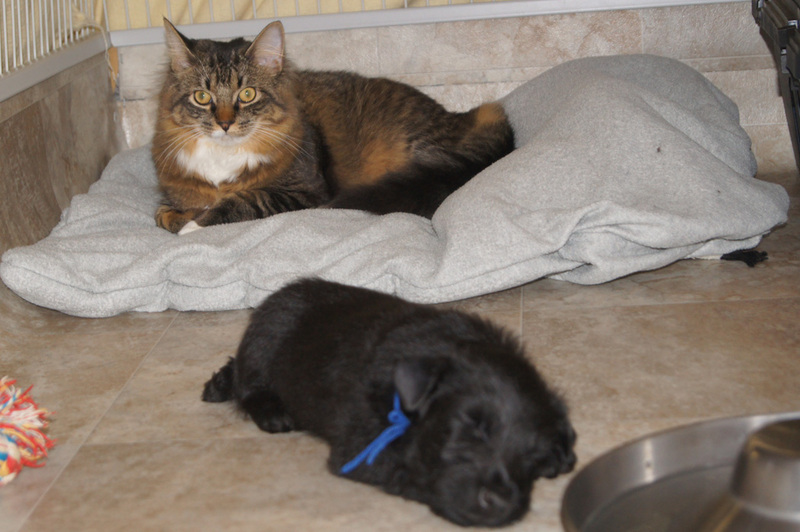 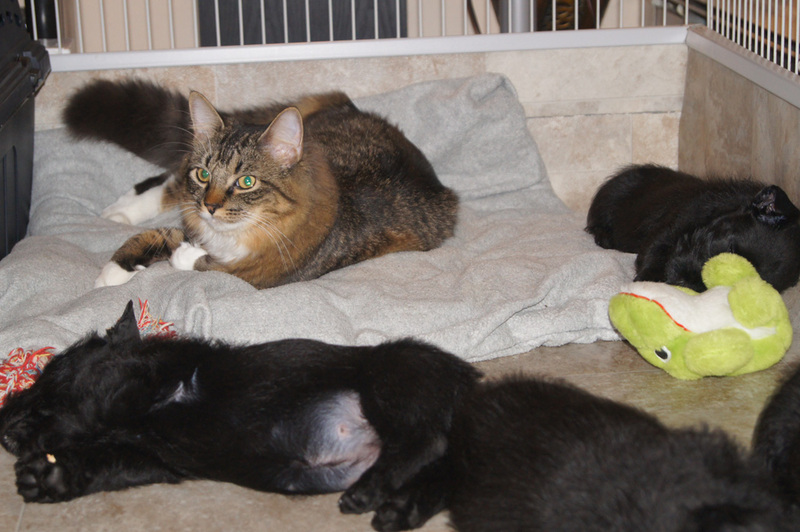 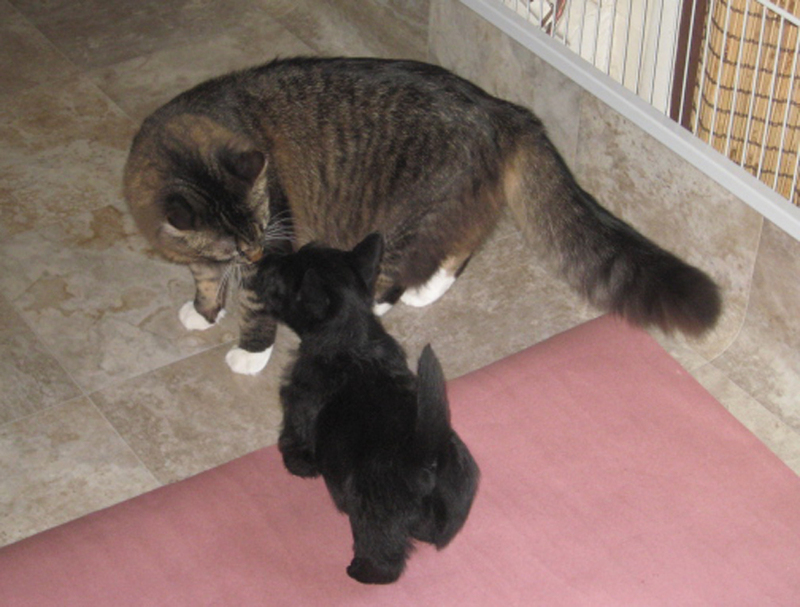 Rags our cat babysits the pups quite often. 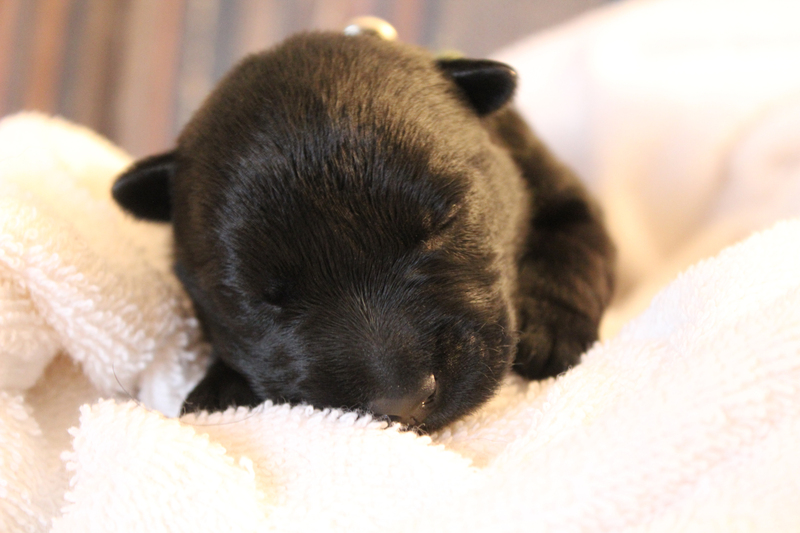 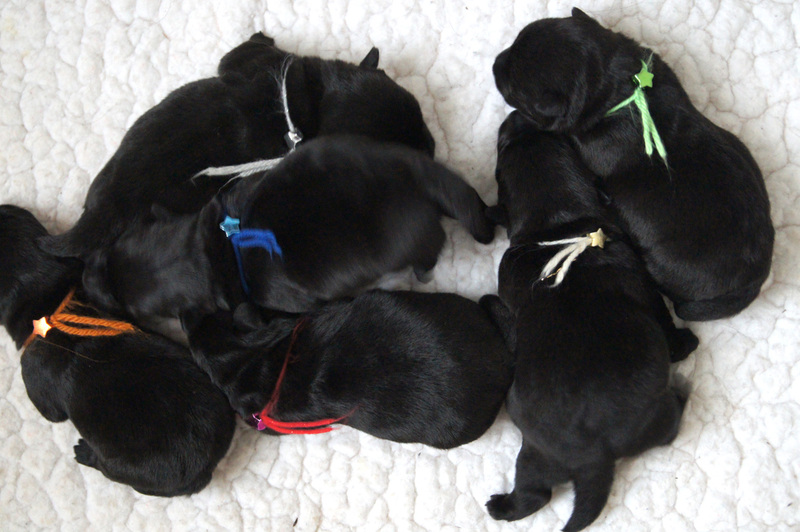 We have a very special litter of puppies born April 23, 2013! 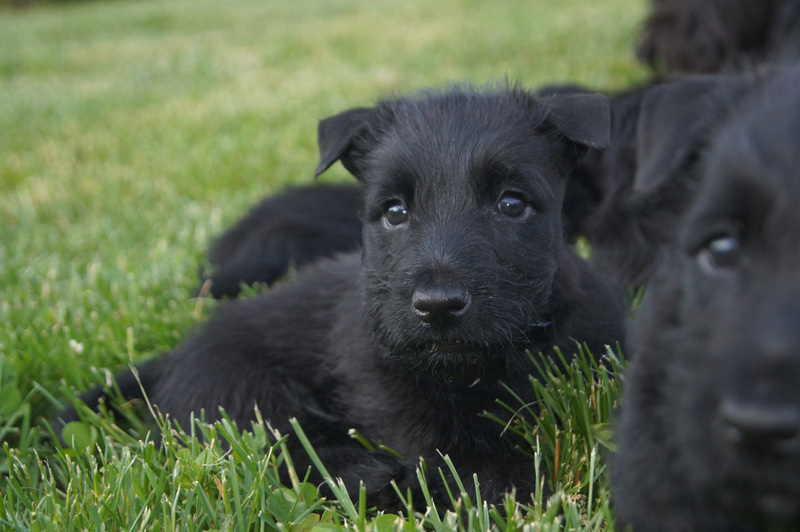 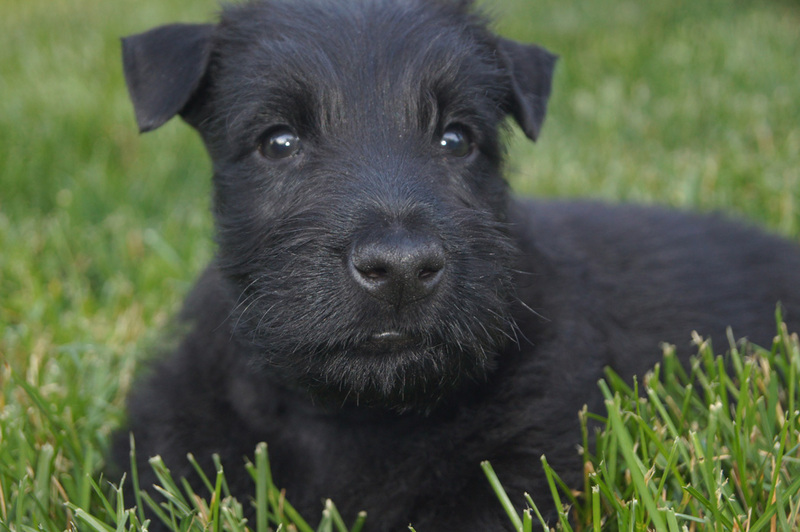 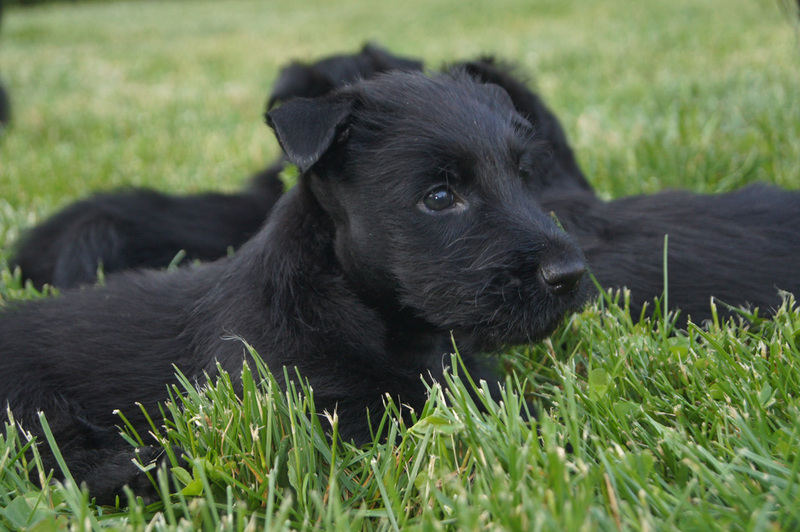 If you are interested in finding out more please contact us at mmelucci@fireheartscotties.com.